As the weather continues to warm up, it’s just about time for a little spring-cleaning. As you dig up old electronics, RadioShack wants to reward you with a little green for being green. In a recent survey, it was determined that over 90 million Americans have unused technology products in their homes. Also a third of cell phone owners admit to owning an unused cell phone. RadioShack is looking to eliminate some of this clutter while helping its customers save money by declaring April America’s Mobile Makeover Month. From April 1 through April 28, RadioShack is guaranteeing a $30 minimum trade-in for any working mobile phone with the activation of a new one. Phones that are worth less than $30 will net you an instant $30 off the purchase price of your new phone. Those whose devices fall between $30 and $300 will receive a store gift card that can be used in-store or online. 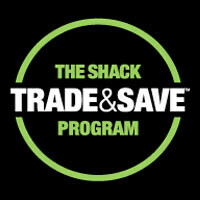 Best of all, RadioShack will recycle or refurbished all traded items, keeping trash out of our landfills. Head on over to www.radioshacktradeandsave.com to check out some trade-in value estimates on your devices. This is nothing new. Target Mobile and Radioshack have been taking trade-ins for a while now. Heck you can get at least $100 for a iphone 3G if you are wanting to upgrade to a 4s. This is actually a pretty good deal and not something Radio Shack does very often. You can get $30 for any working phone! That means that even the old Nokia brick you have sitting in a drawer somewhere gets you $30 any phone in the store. I agree with Chasers. They will give $30+ for some phones you wouldn't normally be able to give away. And better yet, it's running almost the entire month. Target mobile is a subsidiary of RadioShack; it was a deal struck with Target which had no wireless business. That is why they have similar deals; it's a win win for both RadioShack and Target. On top of the trade in deal, RadioShack has a price guarantee so if you find an advertised price lower than theirs they will match it if you bring them the ad.